Walking to Mercury takes readers back to the 20th century and powerfully dramatizes the forces that shaped this extraordinary woman. The book opens and closes with the middle-aged Maya struggling with a personal and spiritual crisis. The culminating factor has been her mother's death, and now Maya embarks on a trek in the Himalayas, intending to sprinkle her mother's ashes at the base of Mt. Everest and finally lay to rest her past. At rest stops in tiny Tibetan villages, she reads diary pages her lover Johanna has tucked into her bag - the diary Johanna kept throughout their shared youth during the Vietnam era. In vivid flashbacks to those radical days, we accompany Maya as she awakens to the summer of love, joins the anti-war movement, and enters into a relationship with the abusive, alcoholic Rio. She finally gathers the strength to break free and seek her own path, which takes her from the streets of Manhattan to Mexico. Eventually she emerges, stronger and wiser, infused with the wisdom of the earth and the spirit of the goddess. 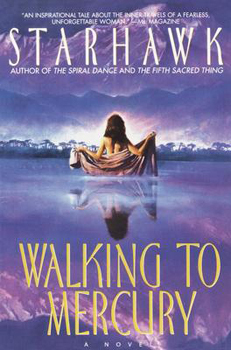 Traveling through the landscape of memories helps Maya reclaim her past and foreshadows the miraculous events readers of The Fifth Sacred Thing know her to be capable of in the future.